During the past decade the Western art world has shown a growing interest in contemporary African art - but what does contemporary African art mean? Is it art produced by Africans who live in the urban centers of the continent and produce works that meet Western taxonomies and sensibilities? Is there room for a different kind of art that neither seeks nor meets the approval of Western establishments? 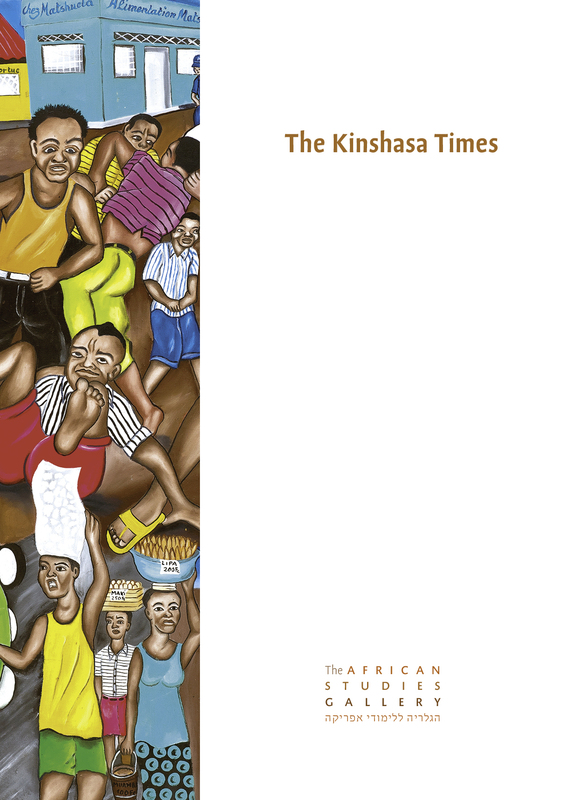 The Kinshasa Times suggests that there is more to contemporary African art than mere alignment with Western preferences. Produced by self-taught artists, mainly from Kinshasa, the works in the exhibition function as repositories of vital social and cultural information. Simultaneously, they are critical commentaries on contemporary life and culture in Congo (DRC), confronting troubling realities by treating their subjects with a diverting mixture of humor and compassion. The works do not fit into the normative Western understanding of art and, rather, they eflect the social changes caused by urbanization, literacy and capitalism. Moreover, in a country that has spent more than 30 years under the authoritarian regime of Mobutu Sese Seko, who established a state monopoly on the press, and where the masses still perceive the newspapers, radio, and television as a magnified image of the ruling class, popular paintings function as social chronicles. The painters of The Kinshasa Times share their daily lives with the subjects of their paintings and as such their point of view is firmly rooted in the street life. The paintings speak as loudly as a pavement radio – broadcasting rumors, unofficial news and scandalous stories about local and national events. Expressing social and political consciousness, the paintings’ artistic means are simple and direct; they are valued mainly for their ability to tell a story and not as objects of aesthetic contemplation. This exhibition was made possible due to the generosity of Mr. Meir Levy, a resident of Congo and a passionate collector of Congolese popular art. After many years of collecting and personal acquaintance with the artists, he assembled one of the richest and most intriguing collections of Congolese popular art in the entire world. The ASG owes him special thanks.